OK folks. I have been thinking about this for a long time now but I finally emailed the folks at Dunkin Donuts to see if I receive any input from the corporate machine. We shall see. 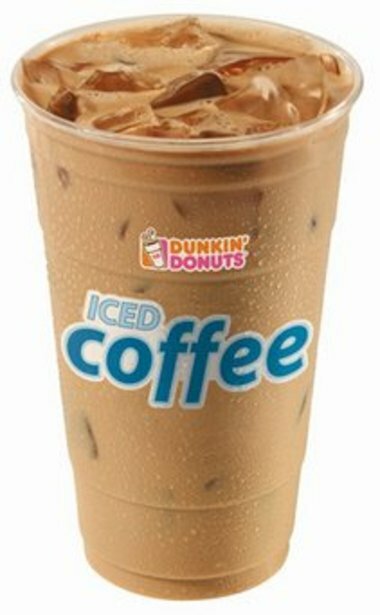 I'm sure you all have had the chance to enjoy a refreshing cup of iced coffee from the local DD. You know, double brewed for your tastebud pleasure, available in every imaginable flavor from blueberry to my personal favorite, Coconut!!! WHY DOESN'T DUNKIN DONUTS OFFER RECYCLING BINS IN THEIR STORE? Sure, you could pose this question to any fast food restaurant. But with DD, you have billions of plastic cups (of the most easily recyclable variety) going into the trash can every day. I read somewhere that 25% of Americans do not recycle at all! I am not aware of similar materials being used at places like McDonald's (mainly because I avoid those places like the plague), but please... correct me if I'm wrong (I do hear those Mickey D's iced coffee commercials every day). - Have you ever seen a recycling program at a coffee/restaurant chain? - Do you have any information regarding how similar chains could profit from such a recycling program? - Have you seen a recycling program used to generate more business? Customer incentives or discounts? Thanks for your interest. We'll see what happens.